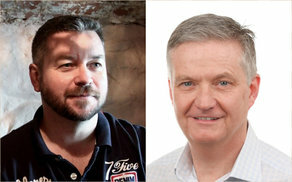 Chris Luff & Chris McClure join the sales team. Tyrell has announced the expansion of its UK sales team, with the appointment of Chris Luff and Chris McClure. The appointment of these two account managers reflects Tyrell’s continued investment in the UK market. Chris Luff has held numerous business development roles in the broadcast communications industry for companies such as and GB Labs and Channel Dynamics. Most recently Chris Luff was the Business Development Manager at Rohde & Schwarz. Chris McClure started his career at the BBC as a postproduction manager and has held sales manager positions at Thomson Grass Valley and Arqiva. Most recently Chris McClure was the Sales Product Specialist as at InSync Technology. One of the leading broadcast, professional video and audio provider in the United Kingdom and Ireland, Tyrell seeks to empower its customers by providing innovative and cutting-edge solutions for all of their production, and post production needs. A leading technology partner with over 25 years’ experience in delivering end-to-end solutions for broadcast, television production and live performance, Tyrell offer a comprehensive range of professional services, from consultancy, system design and integration, to technical support and maintenance.